We all love bourbon and steak, right? As we are getting closer and closer to grilling season, the first thing that you will probably want to cook is a favorite meal. 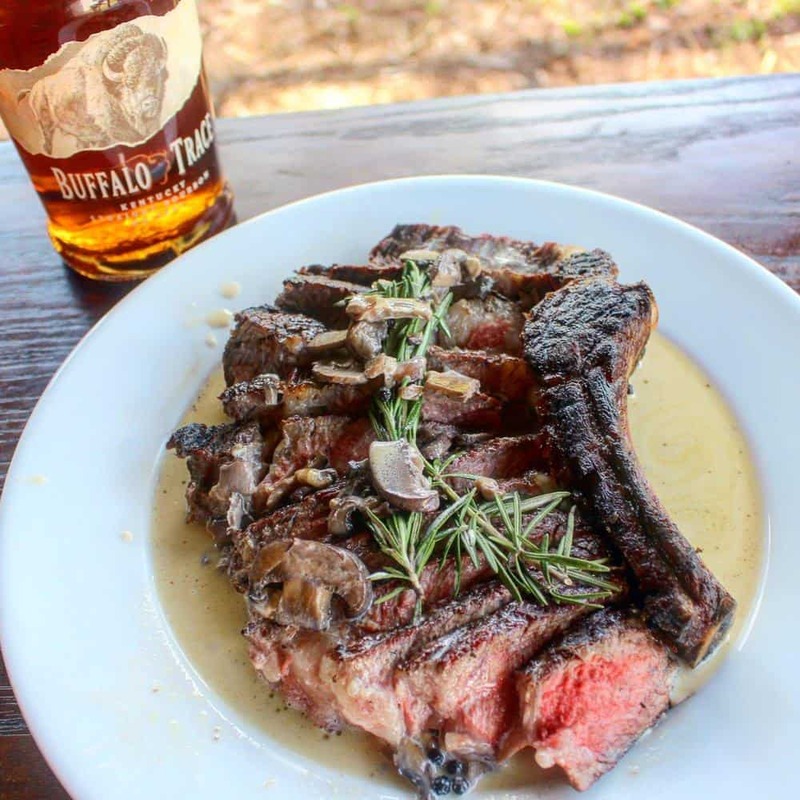 Good bourbon, like Buffalo Trace, and an amazing steak might be exactly that meal! You get that smoky flavor from the meat and the sweet kick from the whiskey for the perfect combo. There isn’t anything that can really beat that! But what if I told you there was: adding bourbon cream sauce! Introducing my new Ribeye w/Bourbon Cream Sauce recipe! This is the perfect meal to start the grilling season! Overall, it is an easy to make recipe with very little work in order to get that amazing flavor. 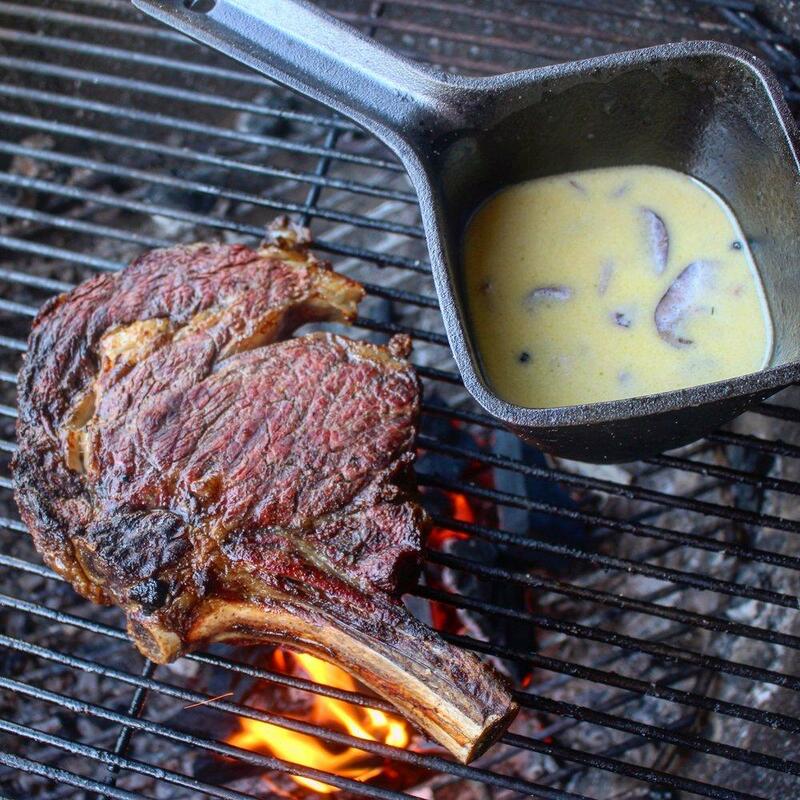 So, fire up your grill and invite your friends over because you shouldn’t wait long to make this Ribeye w/Bourbon Cream Sauce recipe! Gotta get that sear Ready to eat! Lets dig in! Adding a little bit of bourbon to your steak is key to success. Try this Ribeye w/Bourbon Cream Sauce now and grab a bottle of Buffalo Trace while you are at it! Use some charcoal to light fire and let burn for 10-15 minutes. Once charcoal is white hot, push to one side of the grill for indirect grilling. 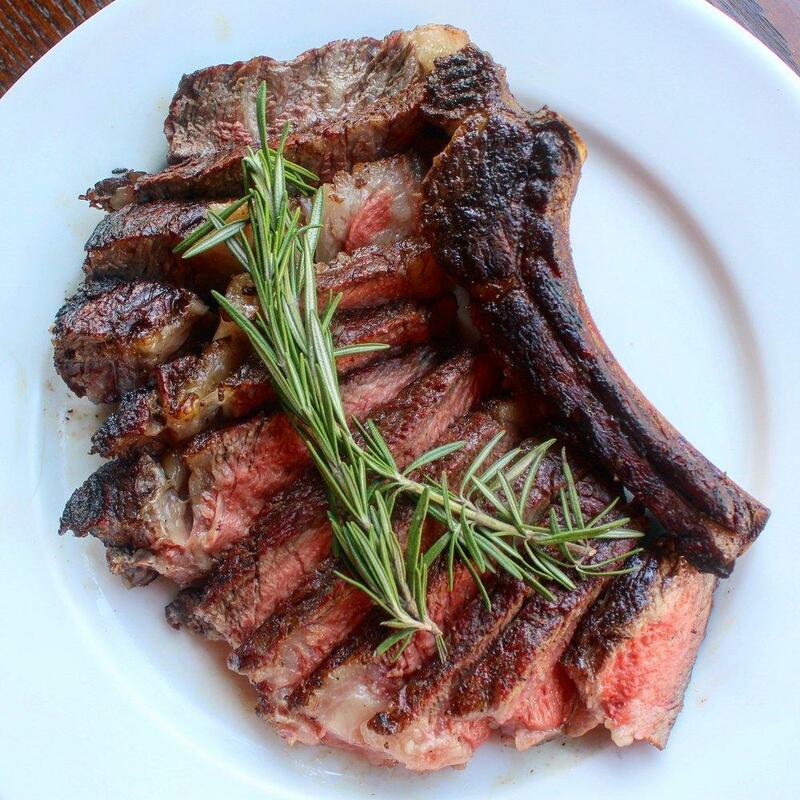 When at room temperature, lather the ribeye with olive oil then season with salt and pepper thoroughly. Once the grill hits a consistent 225F, place the steak on it and smoked it till it reaches an internal temperature of 125F. When steak is ready, pull off grill and let rest for 10 min. Add more charcoal to the fire and place your skillet on the grill. Once the skillet has preheated for 2-3 min, then add your butter and olive oil. Let simmer till fully melted and then add mushrooms & black peppercorn. Cook the sauce for 1 minute and then add 2 tbsp of Buffalo Trace & the Beef Broth. Stir occasionally for another 3 minutes. Once the sauce has started to simmer, add the heavy cream, flour and stir occasionally for another 5 minutes. Place sauce on a cooler part of the grill in order to simmer till the steak is ready. Once steak has rested, sear each side for 1 min. Immediately serve the steak with some rosemary sprigs and some drizzled bourbon cream sauce on top! Enjoy! Equipment Needed: Buffalo Trace Bourbon, cast iron skillet, tongs, knife, cutting board, and a whiskey glass.